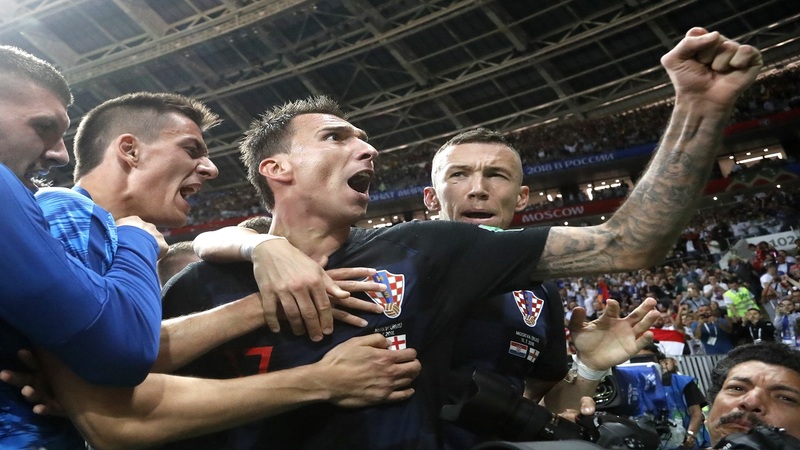 Croatia's Mario Mandzukic, center, celebrates after scoring his side's second goal during the semifinal match against England at the 2018 football World Cup in the Luzhniki Stadium in Moscow, Russia, Wednesday, July 11, 2018. (AP Photo/Frank Augstein). 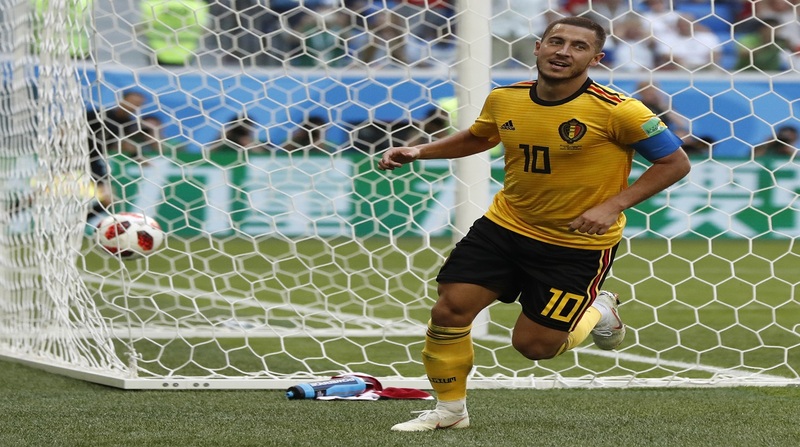 France is the established power with a young team full of speed and skill. Croatia has the veterans that have shown they can never be counted out. The two sides will meet on Sunday in the World Cup final starting at 10:00 am Jamaica time., that's 6:00 pm local time in Russia. 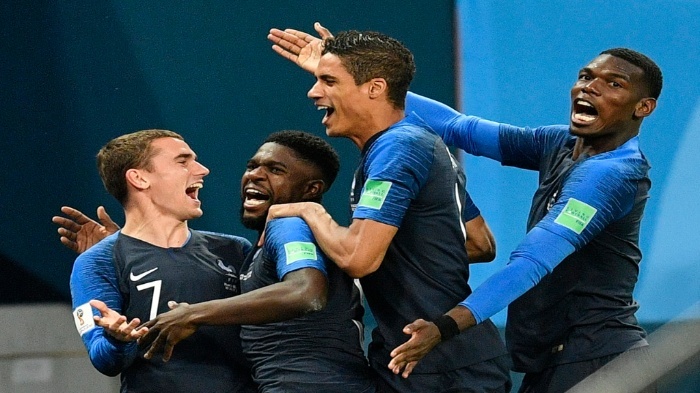 France will be going for its second title in its third final in 20 years. Croatia, a country that only gained independence in 1991, will be playing in its first. 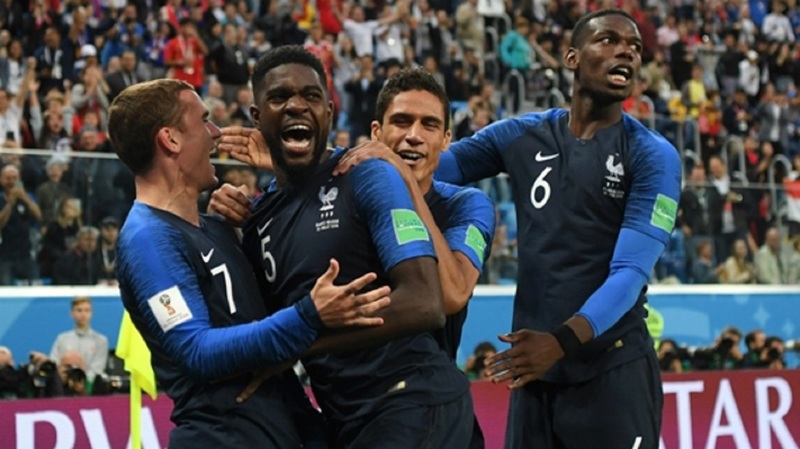 France's Samuel Umtiti, second from left, is congratulated by his teammates (from left) Antoine Greizmann, Raphael Varane and Paul Pogba after scoring during the semifinal match against Belgium at the 2018 football World Cup in the St Petersburg Stadium in St Petersburg, Russia, Tuesday, July 10, 2018.